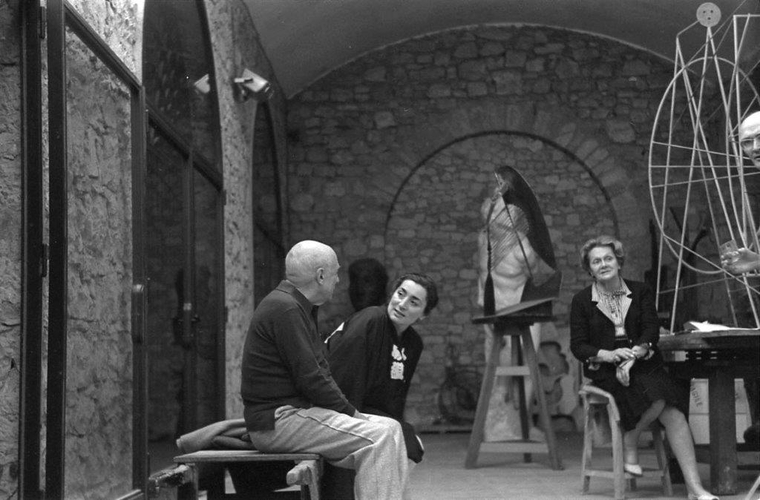 From left to right, Pablo Picasso, his wife Jacqueline Roque and Louise Leiris, owner of the gallery of the same name. In the background, the model for The Chicago Picasso and a plaster cast of a slave by Michelangelo, that Picasso found in the basement of the Museum of Antibes. On the right, Figure (1962).